This has not been a good week for President Trump’s Iran policy. As the president has indicated, he plans in mid-October to decertify Iranian compliance with the nuclear deal, or the Joint Comprehensive Plan of Action (JCPOA), negotiated and signed in 2015, which rolled back Iran’s nuclear program, placed severe restrictions on it for the foreseeable future, and imposed the world’s most intrusive inspections regime on what remained. Leaving aside for now the various and profoundly negative ramifications of Trump’s stated intention to declare Iran in violation of the agreement, the most immediate problem for the president has always been that Iran is, in fact, not in violation of the deal. As attested to by the International Atomic Energy Agency (IAEA) and all other signatories to the agreement – including Germany, France, the United Kingdom, China, and Russia – Iran is fully compliant with its obligations under the JCPOA. But this week brought significant pushback to Trump’s plan. Following the president’s speech to the UN General Assembly on Tuesday, world leaders and diplomats reportedly pressured the president and members of his administration in numerous meetings to reconsider his plan to scuttle the JCPOA. Allies publicly criticized him. “Renouncing [the Iran deal] would be a grave error, not respecting it would be irresponsible,” said the French president Emmanuel Macron, suggesting further that decertification could create another nuclear crisis like North Korea. Foreign Policy reported that the Trump administration’s ploy to use the threat of decertification to reopen negotiations on the JCPOA and squeeze more concessions out of Iran “collapsed on Wednesday as key European powers persevered in their effort to rescue the deal from an American walkout, and Iran’s president made clear his government wouldn’t revisit the terms of the pact.” The New York Times reportedthat Trump’s repudiation of the international consensus and his brash denunciation of the JCPOA was unintentionally generating global sympathy for Iran, while damaging U.S. credibility and trust. It’s not clear that this overwhelming resistance to decertification will dissuade President Trump. But the American people should know that if Trump goes through with it, he’ll be doing it in defiance of the facts, the international community, much of his own cabinet, and at least some prominent members of his own party. This may soon become Congress’s responsibility. 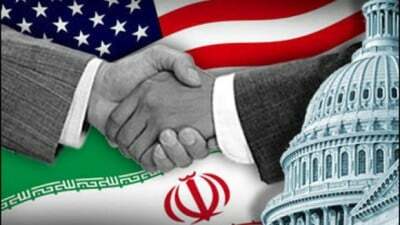 According to legislation passed subsequent to the signing of the JCPOA, that requires the president to certify Iranian compliance every 90-days, decertification triggers a 60-day clock for Congress to decide by majority vote whether to re-impose nuclear-related sanctions on Iran. A decision to do so and join President Trump in his misbegotten scheme to unravel the Iran deal would be dangerous and irresponsible.